Sora Is Coming to Steam! We are proud to announce, that after a long wait, Sora is finally coming to Steam! Sora tells the story of its namesake: the lone enhanced human, Sora, and her struggle to protect a fading world. Enjoy breathtakingly fast-paced combat in OrangeJuice’s Suguri universe, with improved game system and graphics along with original trance music by DEKU. 200% Mixed Juice! Now Available! Orange Juice’s new RPG 200% Mixed Juice! is now available on Steam! Owners of 200% Mixed Juice! will immediately unlock a special bonus version of Marie Poppo in100% Orange Juice. Be ready to wreak havoc with her chaotic new Hyper Card, Subspace Tunnel! We just added 24 new free 200% Mixed Juice! character avatars for your Steam profiles. Breaking news! All owners of 200% Mixed Juice! 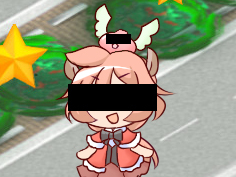 will unlock a new special bonus character in 100% Orange Juice! Marie Poppo has gotten mixed up with some suspicious characters. Our team of specialists was able to capture the above picture of her wreaking havoc in a populated area. More sightings are expected once 200% Mixed Juice! arrives in the stores. Orange Juice Fan Art Contest Winners Chosen! After a long and hard judging process, TsukinoRS’s wedding bride version of Suguri was chosen as the winner of the second Orange Juice fan art contest! They will be receiving a unique 200% Mixed Juice! T-shirt on top of a free copy of the game. Since we were overwhelmed by the sheer number of great entries (well over a hundred in total), we decided to extend the other rewards from top 5 to top 20. NOTE: All winners, please add echomateria [Fruitbat Factory] to your Steam Friends list to receive your rewards. We will contact you with your reward shortly after. If you haven’t heard from us by 30.9.2015, please reach us at support@fruitbatfactory.com. #18 “The lost sheep” by Pa! “Kai’s Ace in the Hole” by S.
The full list of the fan art can be seen in the Steam artwork gallery. Again, big cheers to all participants! August 10, 2015– Independent game publisher Fruitbat Factory is proud to announce version 1.9.8. of 100% Orange Juice, which adds a new DLC on Steam. 100% Orange Juice – Alte & Kyoko Character Pack adds 2 new playable characters from developer Orange Juice’s games. Alte makes her appearance as the first DLC character from Sora alongside the long-awaited cool beauty, Kyoko from Suguri. 100% Orange Juice is a digital multiplayer board game populated by developer Orange Juice’s all-star cast. Characters from Suguri series, QP Shooting series, Flying Red Barrel and Sora come together with all-new characters to duke it out… with dice. New, unique Hyper Cards for both characters to bring chaos to the battlefield with! The new characters are designed by Orange Juice’s original staff for the game’s English Steam release, with character and card artwork by Hono. Alte & Kyoko Character Pack is released alongside 100% Orange Juice version 1.9.8. which adds a slew of new features, including Windowed Fullscreen mode and two new Field Events. Full patch notes can be read on the Steam Community page. 100% Orange Juice – Krila & Kae Character Pack comes priced at $1.99, with a -25% launch discount for the first week. 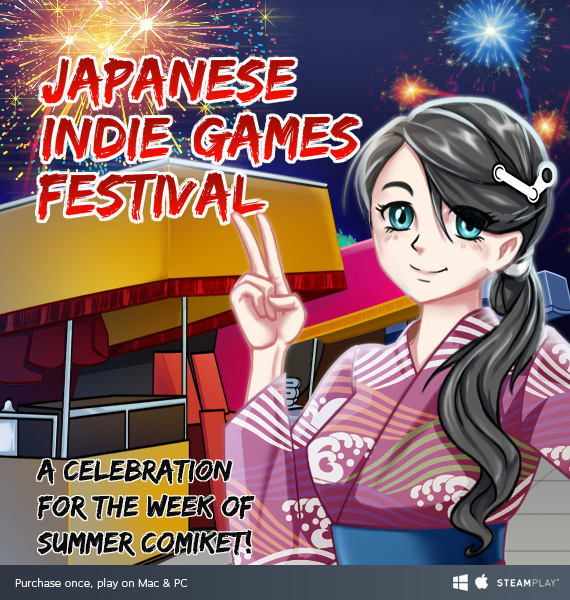 All other 100% Orange Juice titles are also available at discounts up to 66% during the currently active Steam Japanese Indie Games Festival event. We celebrating the Summer Comiket with a huge sale in Steam.